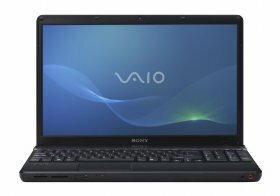 Sony VAIO VPC-EB31FX/BJ Laptop is the latest VAIO VPC series laptop that comes with wonderful features and function. The excellent performance and booting is confirmed with the mean of 2.0 GHz Intel Pentium P6100 dual-core processor. What make it different from other laptops is the feature of Expresscard card slot. or-this-winter/”>HP Pavilion dv6 that is a special edition notebook for this winter season . This laptop is priced at $670.98.